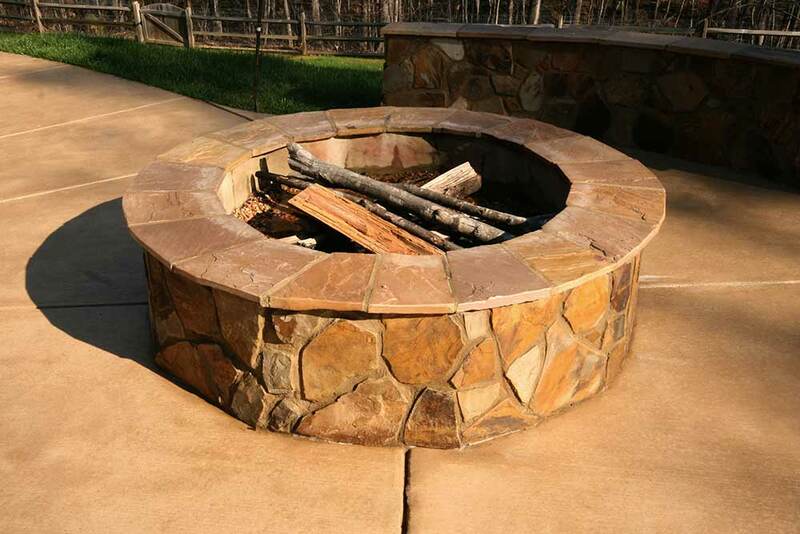 Capital City Curb and Gutter offers custom outdoor kitchens built by our team of professionals. Many homeowners today want to expand their living space outdoors. An outdoor kitchen is an excellent way to equip your backyard for entertaining and feeding hungry friends and family. Our Outdoor kitchens can be designed to be fully equipped, complete with one or more grills, counter tops, sinks, bars, fireplaces and storage cabinets. When planning an outdoor space, we will factor in approximately how many people you intend to accommodate, what your entertaining needs are, and of course your budget. Our team of professionals will help to determine the best location for your kitchen, the size requirements, design layout, counter top placement, and the appliances you’ll need. Finally, we will help you to choose the best materials and equipment for accomplishing all your goals for your new outdoor living space. Our team is ready to assist customers by assisting in creating an elegant outdoor kitchen for you in the Raleigh and Wake Forest areas. Contact Capital City Curb and Gutter today at 919-876-5155 to learn more about how our outdoor kitchen features can help you get more creative with your cooking and dining spaces. Capital City Curb and Gutter will help you consider the most important factors when deciding where to build your outdoor kitchen. The construction of an outdoor kitchen can be a complex process which is why it is important to hire a outdoor kitchen builder that can give you the outdoor kitchen of your dreams. A fully equipped outdoor kitchen can an investment that is sure to add lasting value to your home. To get help selecting the best equipment, materials and layout for your needs, contact the professionals at Capital City Curb and Gutter at 919-876-5155.